Alloy Wire International Ltd has maintained Quality approval ISO 9001 since 1991 and also achieved accreditation to Aerospace Quality approval AS9100 in April 2013. Both of these approvals are in recognition that our manufacturing and processing techniques are defined to the highest industry standards achievable. Quality Policy AS9100 & ISO 9001 Certification. All raw material used by Alloy Wire International Ltd is fully certified when delivered and traceable back to its primary melt source. Alloy Wire International Ltd is fully committed to the promotion and preservation of our Environment and achieved approval to ISO14001 in 2015. This demonstrates our commitment to exceed our moral environmental responsibility, not only to our customers but to all our employees. Alloy Wire International Ltd is fully committed to the continual improvement of Health and Safety performance and provides adequate funding and resource to comply with Health and Safety law. We successfully achieved approval to BS OHSAS 18001 in 2015 which demonstrates the importance placed on exceeding legal & moral obligation for the well-being and safety of all employees and visitors. Alloy Wire International Ltd supply Certification with all shipments, containing full chemical analysis and also mechanical test results if requested. All incoming material is visually inspected and PMI (Positive Material Identification) tested before processing begins and all our production material is checked during each stage of processing. All incoming orders are produced to the individual customer specification, some of which may involve processing sample batches for testing prior to full production. In addition, we have examination facilities that allow visual inspection up to 400x, linked to computer software that can produce digital or photographic images. We also have equipment that enables preparation and examination of cross sections of material. This is useful when looking for problems such as inclusions or seams in the material. 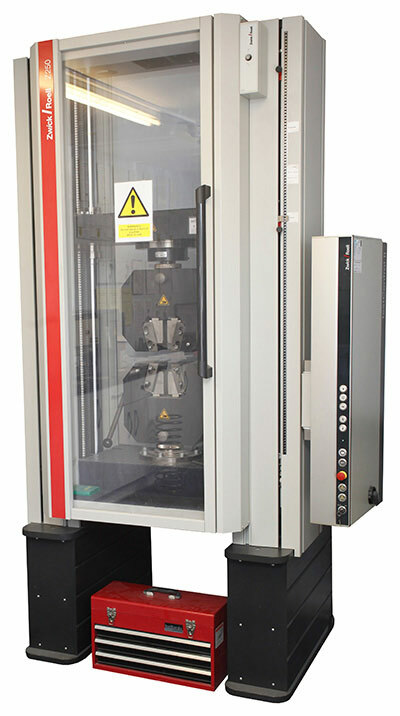 Mechanical results are achieved utilising the latest in-house testing equipment and computer software, which gives increased efficiency and high levels of accuracy of our testing methods. We are able to provide the following mechanical tests using our in-house testing equipment. Additionally we are able to offer 3rd party external testing to UKAS certified approvals, should this be requested by any customer within the supply chain.